Home Business organization cabinetry services are becoming very popular and if you are starting a new business, expanding an existing business or just need a more efficient and organized office, we have just the thing for you. When you are a business owner, if there was ever a place where you needed to be inspired – it’s your office. A cluttered desk does little to enhance the planning and brainstorming process. 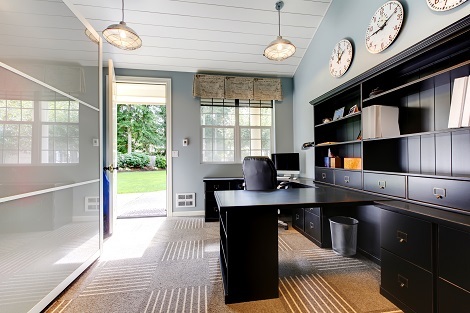 Why not consider an office with an artful and organized wall of cabinets, shelves, and drawers for all your files, reference materials and important papers. What could you do with some home business organization? Imagine sitting in an office that is both streamlined and attractive. An office that not only suits your personality and style, but also your working style. You can have a functional place where each file, plan, or invoice has its own place and is easily found when needed. An office that helps get your creative juices flowing, rather than a space that gives you a stress headache. 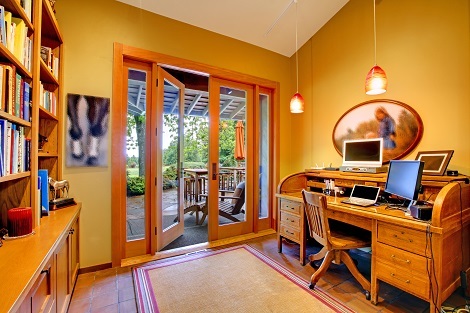 You could optimize your home office with natural lighting, patio doors, or even a sky light. A happier office is a more productive office and your wishlist is just waiting to be implemented. Visit our gallery and showroom to see how we have helped home business owners gain back business organization in the Lehigh Valley, Berks County, Allentown, Easton, Northampton County, and Bethlehem. Let us help you too!